VISCO S.M.A.R.T. – On line automatic Viscosity monitoring. FOR VISCOSITY-THIXOTROPY-DENSITY-TEMPERATURE OF CERAMIC SLIPS, ENGOBBES AND GLAZES. Marcheluzzo Ceramics with VISCO S.M.A.R.T. combines world - class engineering and complementary product portfolios to create an unparalleled innovation and growth engine to revolutionize how producers of sanitary-ware, tableware and other ceramic products can operate their facilities with greater reliability and profitability. VISCO S.M.A.R.T. 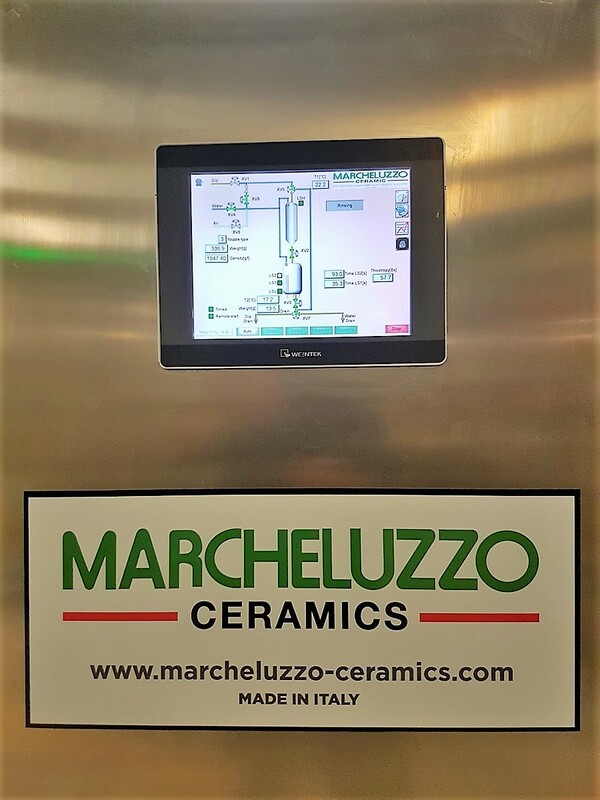 minimizing the typical consequences of standard manual process controls for the main production parameters as VISCOSITY - TIXOTROPHY - DENSITY - TEMPERATURE, makes the future of ceramic process controls smarter than ever. VISCO S.M.A.R.T. 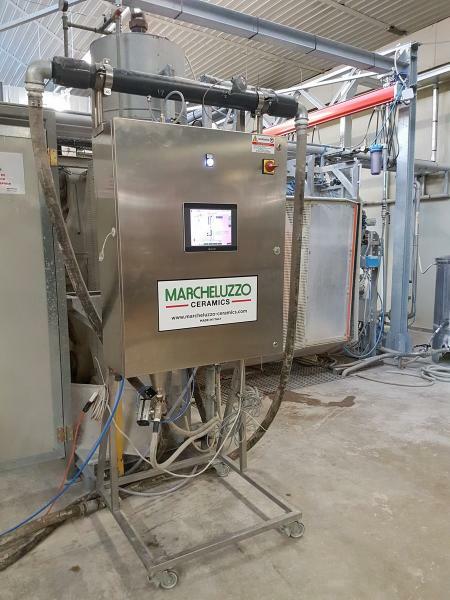 offers a one-stop design environment focused on simplifying the process controls for a wide range of applications: Sanitary-ware, Tiles, Tableware, Refractory and all process based on ceramic slurries asking for a reliable monitoring of the main production Rheological parameters. - No more manual controls….